The lineup will include one sedan and two SUVs. The whole idea of the Jetta brand is to offer affordable transportation outside metropolitan areas such as Beijing or Shanghai, where car ownership is still extremely low (fewer than 100 cars per 1,000 inhabitants in some cases). These new Jetta vehicles will be produced by the FAW-Volkswagen joint-venture in Chengdu, which currently manufacturers VW and Audi models for the Chinese market. 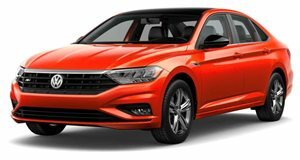 The Jetta brand will offer one sedan and two SUV models set to arrive in the third-quarter of 2019. VW has shared a few images of what the sedan and one of the SUVs will look like and we can honestly say they look pretty nice for affordable cars. "With Jetta, we are closing the gap between the established VW lead brand in the top volume segment and entry-level mobility, which accounts for about one-third of the Chinese market and is served mainly by local brands. This way, we will significantly increase our market coverage," Stackmann said. We don't know anything about the engine offerings or pricing as of yet but VW says it will establish own network of dealerships for Jetta with 200 locations by the end of the year.